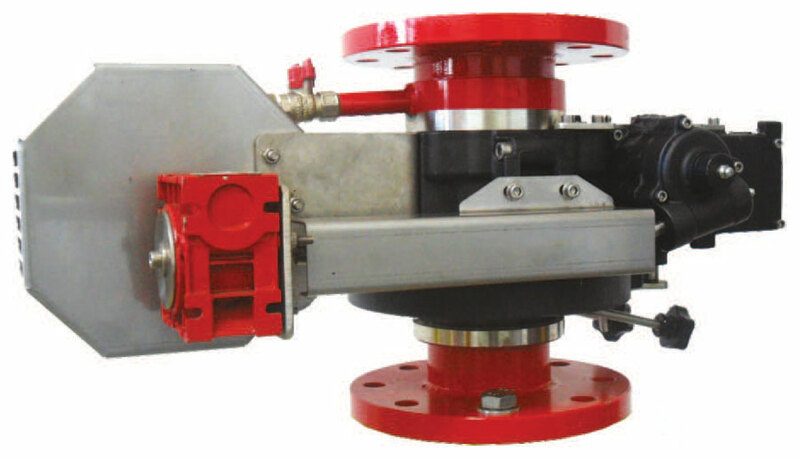 DAI model hydraulic driven self-oscillating units produced by C.S.I. S.r.l. use the ﬂuid passing through the monitor to drive a turbine, and the motion converted and inverted continuously to create a self- driven movement at the horizontal axis continuously or between predetermined oscillating angles by using limiting knobs. 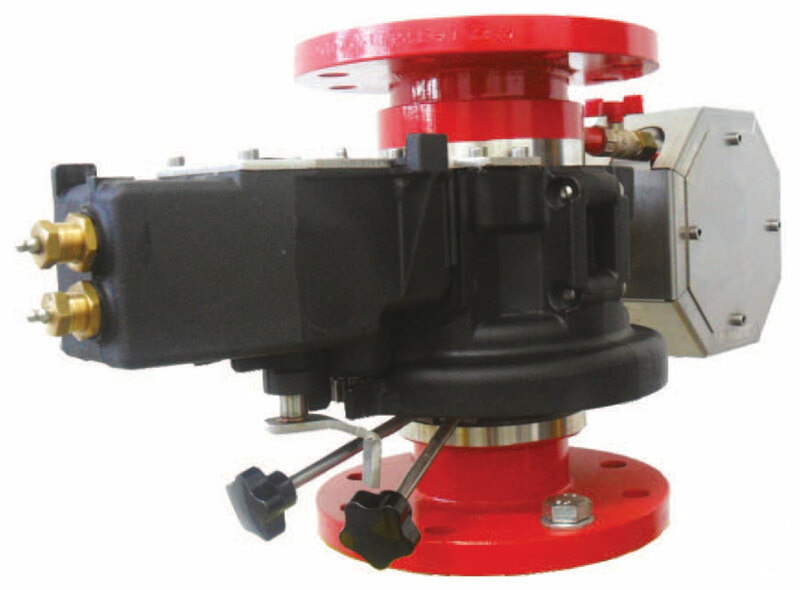 DAI model self-oscillating units are generally used in conjunction with manual monitors with a combination of remote operated valves to throw a certain quantity of the ﬁreﬁghting water or foam to a predetermined zone. DAI models can also be used in conjunction with remote controlled monitors. The waterway passage is made out of stainless steel, the gears are made out of corrosion resistant materials, the hydraulic turbine's discharged water is sprayed through turbine protecting carter to create a cooling eﬀect as a barrier in front of the monitor. For this reason, it is always recommended to aim the monitor always in the same direction of the turbine of the oscillating unit. All movement mechanism contained in a carter to prevent external damages may occur at installation site. 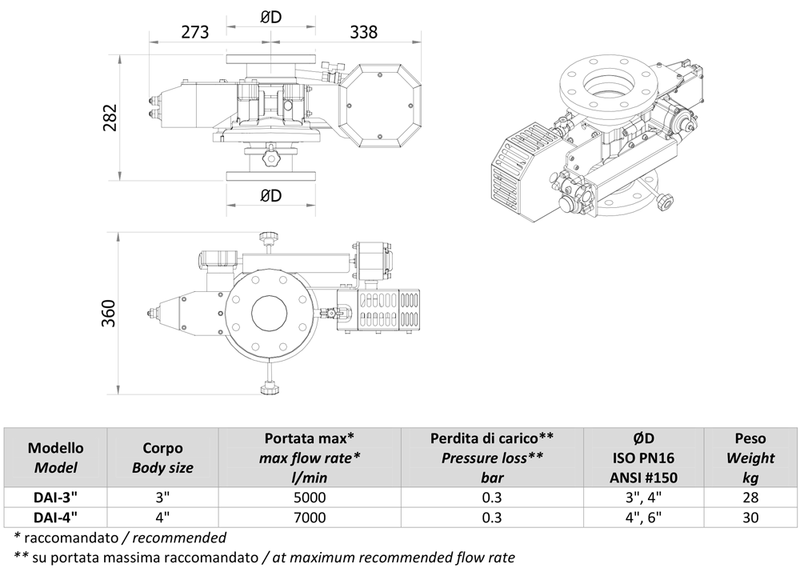 DAI units may handle ﬂow rates up to 8000 l/min with lowered pressure loss values. Documentation regarding ATEX versions according to 94/9/CE has been deposited at a notiﬁed body.